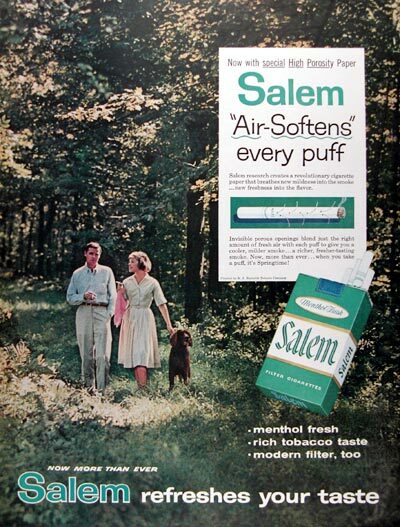 1960 Salem Cigarettes original vintage advertisement. Now with special High Porosity paper. Air softens every puff. Invisible porous openings blend just the right amount of fresh air with each puff to give you a cooler, milder smoke. Salem refreshes your taste.